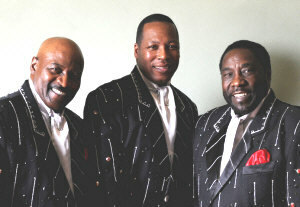 The O'Jays may be available for your next special event! It was in 1957 when Eddie LeVert, Walter Williams, William Powell, Bobby Massey and Bill Isles began as a quintet called The Triumphs of McKinley High School in Canton, Ohio. In 1960, they became The Mascots but were renamed The O'Jays in 1963 after legendary radio D. J., Eddie O'Jay. 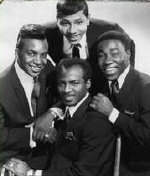 Things began to take off for the group when they signed with Imperial Records in 1963 and achieved their first hit, "Lonely Drifter." This was followed by several hit singles and the release of their debut album in 1965, "Comin' Through." The O'Jays had released one more record, "Soul Sounds," in 1967 when they met songwriters and producers Kenny Gamble and Leon Huff. The group soon recorded on Gamble and Huff's Neptune label as a quartet (Isles departed in 1967). 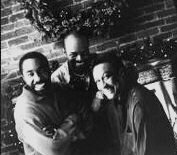 Massey left the group in 1972 and the trio united with Gamble and Huff on Philadelphia International Records recording some of the best R&B/pop hits ever. It was on the Philadelphia International label that The O'Jays' career skyrocketed. Their muscular vocal stylings, combined with their awesome showmanship have enabled The O'Jays to perform to sellout crowds worldwide. For the next seven years after the 1972 release of "Back Stabbers," The O'Jays had a gold or platinum record every year and garnered three Grammy nominations for Best R&B Vocal Group. 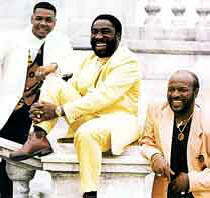 In 1990, the group won an American Music Award for Favorite R&B Group or Duo for their hit album, "Emotionally Yours." With six platinum and eight gold LPs including, "Family Reunion," "Message in Our Music," "Ship Ahoy," "So Full of Love" and "Travelin' at the Speed of Thought," the talented trio has proven the test of time. With more than 50 hit singles released in their 40 year career, few people have earned the right to be called "living legends." The O'Jays have earned that right! 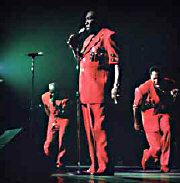 The O'Jays have been a soul music staple for more than 40 years. Newest member, Eric Grant, is proud to be included as part of The O'Jays legacy. booking entertainment, such as major name entertainers or celebrities, booking The O'Jays, booking information on The O'Jays, or hiring The O'Jays for your special event, or to book or hire The O'Jays, or if you are seeking The O'Jays booking agent for corporate entertainment or for a private party. Consider the opportunity to book The O'Jays or other entertainers for a wedding, birthday, anniversary, business meeting or convention. If you are not a talent buyer, we are unable to provide The O'Jays manager or management contact information. Consider this your official The O'Jays booking agency web site – The booking agent who works for you! This company acts as an entertainment consultant or broker/producer and does not claim or represent itself as the exclusive agent, representative or management of The O'Jays. The O'Jays, r&b music artists - booking agent. This group may be available for your event. Book them if you can. You will have the time of your life!